Some time ago SunriseArc had occasion to seek a favor in support of an upcoming event: get the autograph(s) of notable artists, songwriters or producers of a compilation of monster hits that would be offered for auction as a centerpiece item. After some due diligence a contact was made to a person with connections to these good folk and the process of requests began. What is remarkable is that there was one individual out there with utterly no connection to or association with our cause who would take up our request to find people for autographs. That person was, as fortune had it, intimately connected with and at the center of one of the greatest accomplishments in the entertainment business. He was literally on the ground floor of the most successful record industry legend: Motown. Leesburg, FL February 17, 2010—Vehicles for Charity is a new donation program hitting the market this week. Central Florida vehicle owners can now turn their unwanted but usable vehicles into a valuable donation that benefits people with mental and physical disabilities in your community. The process is simple, call 1-866-702-1651 to speak to a Vehicles for Charity representative or visit www.arcflorida.org Unwanted but usable vehicles accepted include cars, trucks, motorcycles, boats, RVs, etc. Some restrictions apply. Indicate that you would like to donate your vehicle to The Arc of Florida. 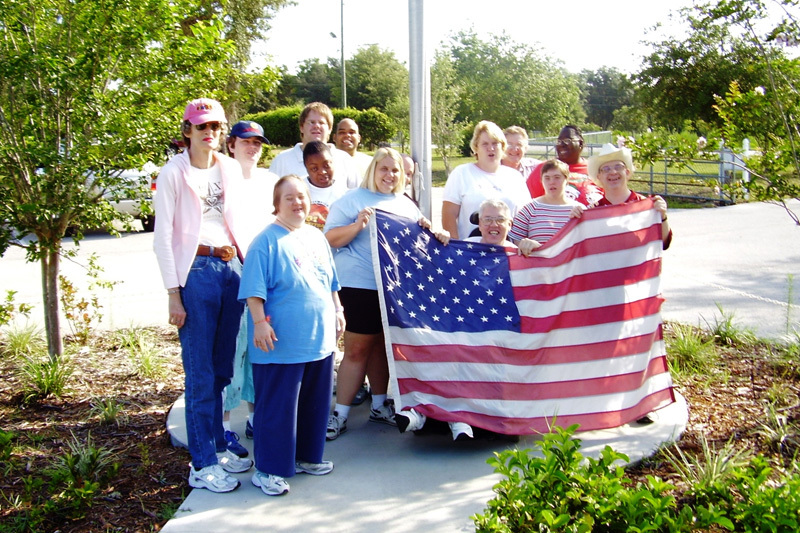 Working with local, state, and national partners, The Arc of Florida advocates for your local chapter—SunriseArc—in terms of public policies and providing high quality supports for people with developmental and other disabilities so they are fully included in all aspects of their community. The vehicle is usually picked up in 3-5 days at the donor’s convenience. Please provide a clean title and make sure the vehicle has no major damage. A receipt for the donation will be sent as a follow-up in the mail which can be used for tax purposes. The Arc of Florida will call you in the following days to confirm that you would like your donation to support your local Arc chapter, SunriseArc. 03/01/2008 – Leesburg, FL SunriseArc, a nonprofit organization who promotes advocacy for people with cognitive learning disabilities, hosted a booth at the 31st annual Leesburg Art Festival held in the Downtown Market in Leesburg. The booth was filled with several works of art created by people with disabilities with the assistance of local artist Patty Calamari. On display were 8 pieces of art; 7 paintings and one Styrofoam sculpture of “the alley cat”. The pieces were created through the SunriseART program at the SunriseArc Day Training Facility on Radio Road in Leesburg. The focus of the booth was to spread advocacy, and speak on behalf of SunriseArc to explain “what we do” to the community. The reception from the community was overwhelming, as patrons fought for a place in front of the SunriseArc tent to catch a glimpse of the artwork on display. 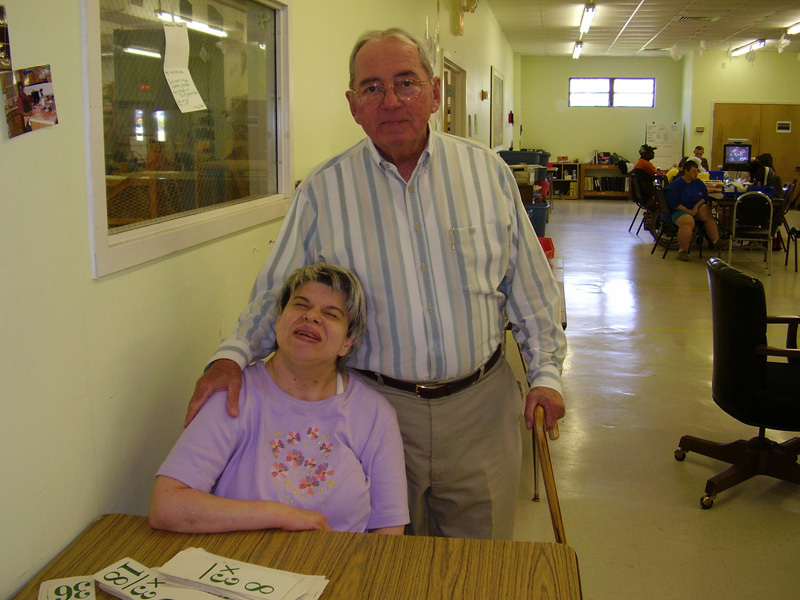 Among the many admirers, were several families that have loved ones enrolled in the numerous SunriseArc programs. They were encouraged by our enthusiasm in bringing advocacy to people with disabilities to the forefront of the community. On Friday, March 21, 2008, SunriseArc and members of the Leesburg Civitan, met at SunriseArc’s Leesburg group home, to showcase the beginning of a brand new back porch for the group home. The group home previously did not have a wheelchair accessible outdoor seating area for the residents. The entire project is funded by generous donations from the Leesburg Civitan, local businesses, and donated time and labor from members of the community. Lewis Brothers Contracting in Bushnell, Florida donated materials and labor for the concrete slab. The donated concrete slab and the forthcoming back porch will measure 10 ft. high by 34 ft. across. A fundraising campaign is currently underway through the Leesburg Civitan to complete work on the new back porch. When finished, the porch will be wheelchair accessible, screened in, and will provide a very comfortable place to spend beautiful spring evenings. If you are interested in donating to the Civitan fundraising campaign for the SunriseArc Group Home, you can contact Deb McCoy at (352) 330-0844. Special thanks are also in order to the contributing members of the Leesburg Civitan: Paul Deely, Florence Deely, Joe Brannon, Margaret Brannon and Robert Ausbrooks, as well as the entire Leesburg Civitan organization!